Every time my lavender needs a prune, I tie up the prunings and hang them up in our porch to dry. Then, some months later when I have a spare hour, I pull the dried blooms off the stalks and add them to my lavender jar. When I have enough lavender, I will make lavender sachets to tuck into drawers and inside pillow cases. I’d also like to try making bath bombs, sometime. My friend Melissa makes lovely lavender sachets with hand-printed linens. I think everything Melissa makes is beautiful. I like being thrifty and so I get a kick out of turning prunings into something useful. 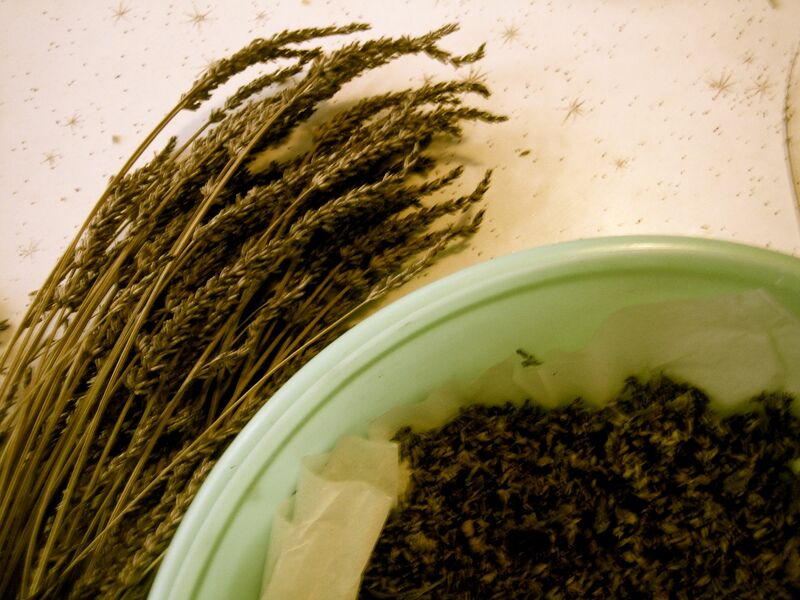 It’s a process that (to me) is lovely at every stage – the lavender is beautiful on the bush while it’s growing, it’s attractive hanging to dry on the porch, it looks nice in a jar and it will be delicious in a sachet – the heady scent of the blooms living on long after the stems have turned to compost. thank you helen! 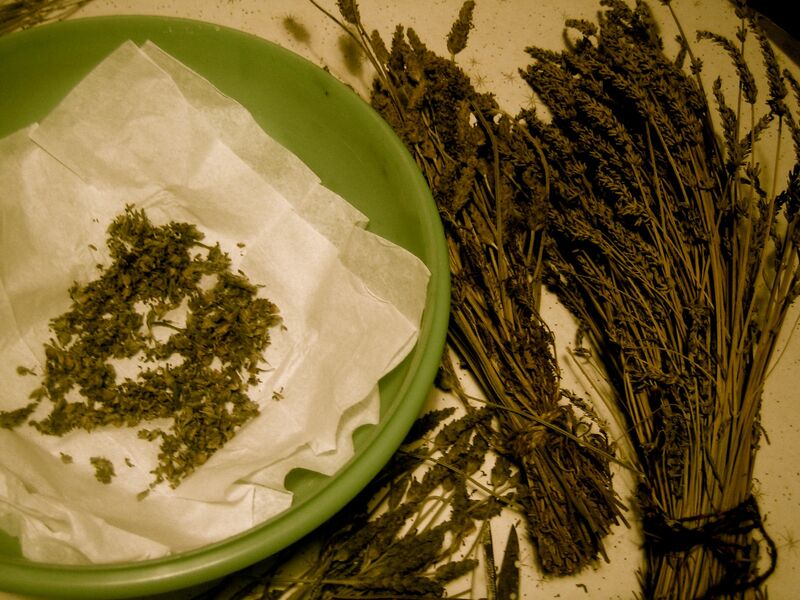 i wish i harvested my own lavender… my plants seem to be quite straggly so i have to rely on the farmer’s market. i agree with you- every stage of the lavender’s life is aesthetically pleasing. If you had an open fire, maybe the stalks, dried, would make scented kindling? Ti kouka (cabbage tree) dried leaves, bound, make aesthetic kindling too.